Looking for a graduate position in a rewarding industry? Are you passionate about making a difference for the Great Barrier Reef? 7 positions are available in various host organisations across the GBR catchments. Submit applications to diana@qff.org.au by 5pm, 7 May 2019. Find out what Kate Armstrong, one of the trainees who participated in the first round of the program thought about the opportunity. Erin was hosted by Fitzroy Basin Association (FBA) in Rockhampton, the leading natural resource management body for Central Queensland. With a geographical footprint of over 156,000km2 and more than 20,000km of waterways, the Fitzroy Basin is the largest river system draining into the waters of the Great Barrier Reef (GBR). Working under the supervision of Senior Project Officer Rachel Bryan, Erin was been able to build upon a number of skills acquired through her degree in Environmental Science by assisting the FBA team in their delivery of extension and support to landholders right across the region. In the past, Erin has worked on Heron Island which instilled her with a deep understanding of the many threats which face the GBR. Whilst Erin admits improving the water quality of the GBR was her motivator for applying for the position, she has enjoyed working closely with graziers and seeing what they can achieve, not only for the environment but for also for their businesses in terms of production. Erin has continued to work for FBA as a Project Officer. 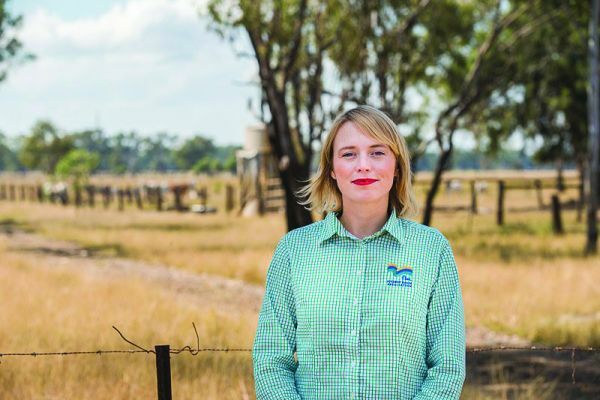 Working across high-sediment source catchments, Erin will support graziers with soil management and erosion control, linking them with funding opportunities to stabilise eroding stream banks and gullies on their properties. 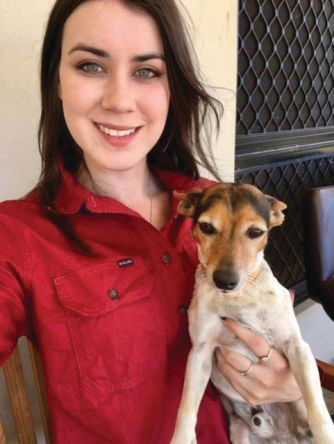 Dominique has a Bachelor of Agricultural Science from the University of Queensland and has a keen interest in agricultural extension. Her background consists of a mix of industries, growing up on a sugarcane and beef property and working on a dairy farm for many years. 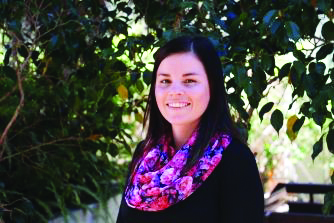 Dominique was placed with the Burnett Mary Regional Group for NRM (BMRG) and worked as an Agricultural Extension Trainee based in Wondai in the South Burnett. In her time at BMRG, she contributed to soil health and soil conservation projects, along with assisting the Land and Water team with various other projects. In the past, Dominique has worked as a Development Officer for Department of Agriculture and Fisheries, Queensland. It was in this role, working within the dairy industry, that she developed an interest in extension and working with farmers to implement practice change and improve production on farm. She very much enjoyed her time at BMRG in an extension role and taking on the exciting challenge of working on projects within the grazing industry. She is looking to further develop and learn new skills to extend information to the grazing industry and assist producers to make positive changes. Lili has a Bachelor of Advanced Science with majors in zoology and ecology, and is dedicated to creating positive environmental change. Her life goal is to strengthen the relationship between people and the environment so that both receive the benefits of coexistence. 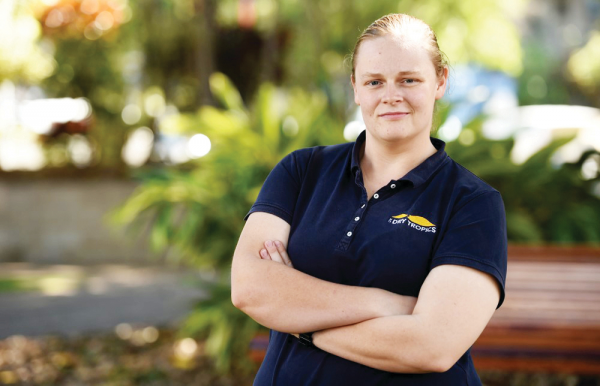 Upon graduation Lili was placed with Private Forestry Service Queensland (PFSQ) in Gympie and has worked also with Growcom. Lili worked in forestry, silviculture, horticulture, grazing land management, timber processing and environmental conservation. PFSQ uses managed ecology and sustainable forestry practice to improve landholders’ productivity and reduce their ecological impact. Using new technology and media tools, Lili has created useful resources for landholders that aid environmental responsibility and best practice forestry. She has inspired change among primary producers and the greater public and introduced them to a sustainable way of doing forestry. Kate was placed with Mossman Agricultural Services as a District Extension Officer. Based in Mossman, Far North Queensland, she helped service growers along the coast from Daintree to just below Port Douglas and west to the foothills of the Great Dividing Range. It was during her studies in a Bachelor of Environmental Management, majoring in Natural Systems and Wildlife, that Kate decided she wanted to use her knowledge of natural systems to work in regions where natural systems are colliding or competing with other resources. Kate has always been interested in working where she could be based on the ground, in communities, to address interesting and challenging resource issues. She jumped at the opportunity to be involved in the QFF’s Work Placement Initiative, particularly as it involved her greatest passions; people and beautiful natural resources. 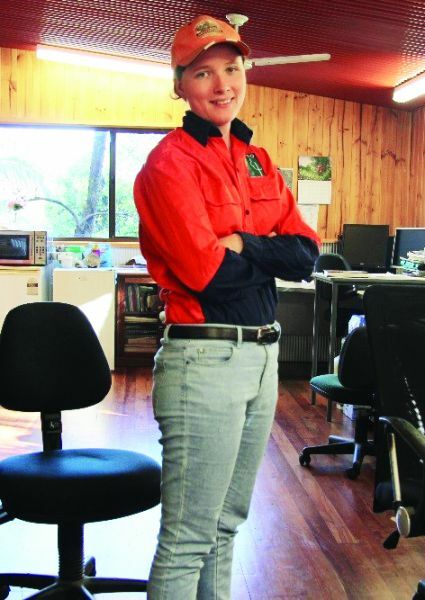 For the duration of her traineeship, Eilis was placed with North Queensland Dry Tropics (NQDT) Natural Resource Management group, Greening Australia (GA) and Department of Agriculture and Fisheries (DAF). She worked with the grazing and sugar cane industries and the bulk of her time focused on understanding the sediment and nutrient exports from these sectors into the Great Barrier Reef. Eilis was based in the NQDT office in Townsville and mentored by Linda Anderson, Senior Field Officer in the Sustainable Agriculture team and Lisa Hutchinson, Grazing BMP coordinator. She was also mentored by Damon Telfer from GA and Bob Shepard from DAF. After graduating from the University of Queensland with a Bachelor’s degree in Environmental Management, Eilis wanted to pursue a career that would have a meaningful impact on Australia’s natural environment. QFF’s Work Placement Initiative has facilitated her passion by matching her with a host organisation that implements projects that protect the Great Barrier Reef through improved water quality in catchment areas. Eilis is in the process of completing her Master of Agribusiness. 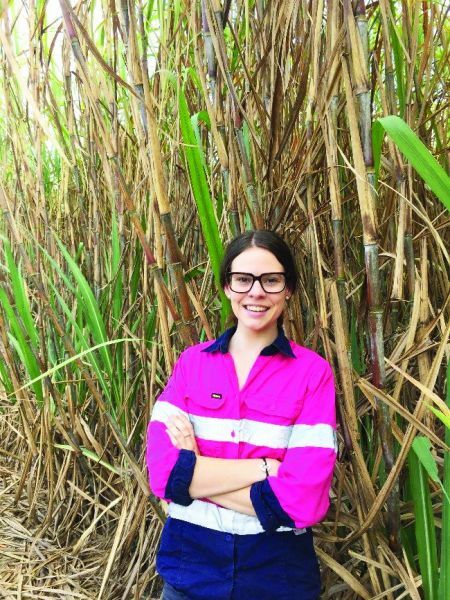 Zoe was mentored by Farmacist, an independent agronomy and precision agriculture service provider that services the Mackay and Burdekin Regions. Farmacist specialises is agronomic advice, geospatial data collection and management, development and extension activities supporting farming practice changes. During her placement she was exposed to various trials, crop types, industry bodies and she had the opportunity to attend various capacity building workshops, covering a variety of topics from effective extension techniques to precision agriculture. She decided to relocate from Western Australia for the QFF’s Work Placement Initiative because of her passion for building relationships with people, and her keen interest in the continual improvement of holistic farm systems. Her interest lies in precision agriculture and alternative farming methods. At the end of her placement she remains with Farmacist in Mackay. Join the Rural Jobs & Skills Alliance network and stay up to date with how it is contributing to improved employment and education outcomes throughout Queensland. Subscribe to the Rural Jobs & Skills Alliance e-news keep informed about what is happening in the Queensland agricultural jobs and skills space.